Big Freakin' Safety Gear - SMACKTALK! We’ve been busy assembling our various pieces of additional safety gear for our upcoming trip to Florida in June. Now, granted, some may think we’re overdoing it for the kind of sailing we will be doing over the next few years…ICW, Gulf of Mexico, and the Caribbean. But my goal has been to outfit Dawn Treader such that she is also ready for some off-shore racing if and when we decide to do it. So I’ve been following the ISAF/OSR Category 1 regulations as much as possible. Now, granted, I’m not a stickler. For example, I don’t plan to completely replace my coated lifelines right now. There are too many other places to put smarter money and time. But I want to get as close as possible to these regulations – and will continue to do so more and more as we go. Bottom line: If you’re going to be off-shore at all, it makes no sense not to follow these proven guidelines. The first piece of gear that I’m a firm believer in is a drogue. I did a great deal of research on this subject over a few years, and pretty quickly narrowed my choice down to a stern-towed drogue over the famous Pardey-style bow-towed para-anchor. For our boat, the drogue just makes more sense. From there it was a matter of narrowing it down to the type of drogue I’d need. Again, from tons of research, I’d pretty much settled on the Jordan Series Drogue. It had been lauded as pretty much bomb-proof by most hard-core off-shore sailors out there (e.g. – Hal Roth). There was no doubt that it was a great design and extremely effective. One of the best all-round side-by-side comparisons I came across was THIS VIDEO (unable to embed here) which tests several leading drogue solutions. You really should watch it if you’re at all interested in this stuff. It is bulky, heavy, complicated, and prone to tangle. And that’s just to launch it. Then, as everyone already knows, it’s a HUGE pain to retrieve. With our crew both being under the age of 16…this is obviously an issue. Though we don’t want to give up too much in the way of effectiveness – we definitely need simple. It isn’t a multi-tasker. A JSD serves one purpose. Apart from that purpose, it just sits in the lazarette and takes up limited space and grows mold. Again, it’s a great device – no question, but it certainly seemed we could do just as well with another set-up that would give us more flexibility. It’s expensive…which in and of itself is not that big of a deal. But in light of the other drawbacks it starts to matter. Finally, one of the biggest issues – it isn’t a great emergency steering device. On this last point, I came across another video that showed a very compelling use of the Galerider to steer a 42′ Swan BOTH DOWNWIND AND UPWIND! So, this pretty much convinced me to go with a single drogue device instead of the JSD. On balance, I just thought it was a better direction. In looking at the results in the first comparison video I linked to above, I decided on the SeaBrake. It provided more slowing power than the Galerider (closer to the JSD), but could still be used in the same way as the Galerider in the second video to steer a rudderless boat. I immediately jumped on it. I then bought a 150′ spool of 3/4″ 3-strand anchor rode, the recommended length of 3/8″ chain, and a 3/8″ swivel to alleviate any issues with the drogue spinning as shown in the video. This set-up, at under $500 all-in, gives us a very effective, simple drogue device, PLUS everything we need for our secondary anchor (the old Danforth style anchor we replaced with the Mantus). We’re pretty happy with the decision. These babies, though expensive, ticked off a lot of the multi-purpose boxes I like in a product. We could easily and quickly deploy them as the drogue bridle, as well as use one for an anchor snubber, and, obviously, one or both for a very, very good mooring solution. We were now completely set in the heavy-weather drogue and anchoring departments. Next, I bought an Avon 6-Man Coastal Series raft with soft-valise off eBay. It’s certification had just expired so it was stupid cheap. I will take it in before we leave and have it inspected. If it’s still certifiable, I will have gotten a great deal. If not, I won’t have lost much. So we’ll see. My plan is to devise a mount on the stern-rail/swim-ladder that we’ll strap the life raft to while off-shore. Otherwise, it is stored down below. But more on that project later. I obviously need to first see if this raft is a keeper. We will use the PLB in this bag as our EPIRB on this trip. It is registered to me and to our boat – so it’s every bit as effective for where we will be and what we will be doing (and it’s cheaper). This, along with the DSC capability of our VHF (have you registered your MMSI?) and our SPOT tracker should cover us very effectively for emergencies. The only thing not shown here are flares. We have a second bag with a full complement of flares in our lazarette ready to go if and when we need them. These are in addition to the full kit of flares for the boat itself – as well as those in the life-raft. I also got some interesting devices to serve as an MOB alarm for each of us while off-shore. These are the Philips InRange Bluetooth Smartleash. The idea is that each of us clip a transmitter to our PFD while off-shore. They’re very light and small (60mm X 40mm) and have the rubber enclosure to make the transmitter more water resistant. You can pair up to 3 of these transmitters to a single iPhone or iPad – then set a distance range for each so that if it moves outside that range an alarm will sound. The app gives you a choice of “Close” (1m-10m) or “Far” (10m-20m). If the device gets beyond this range from the iPhone/iPad an alarm will sound and the location will be marked in relation to your current position. Since most of our navigation equipment is iPhone/iPad based, this seems like a perfect solution for a simple MOB device for each crew person. The transmitters are NOT waterproof. However, if the transmitter fails to transmit for any reason (dead battery, water intrusion, etc.) the alarm will sound on the i-device. So it’s a pretty cool option. We have ours set to the “Far” distance. So the most a MOB can drift away from the boat prior to the alarm is approximately 10 meters. Though we have the app on the iPad that we use at the helm as a chartplotter we will likely use our iPhones down below at the nav station as the alarms. This way we can move around the boat without triggering the alarm, and have the alarm down below where the assistance will be coming from anyway. I’ll let you know how it all works out – though hopefully it will never come into play. We already have inflatables that we ALWAYS wear when underway. However, if the weather gets bad and we need to be outside, I’m going to insist on everyone wearing these instead of the inflatables. We can still use our harnesses and tethers with these, and I just don’t want to take any chances with inflatables in bad weather. IF someone happens to go over in rough seas – they WILL float. Also, I selected these for the relative comfort – which is critical if they are to be worn at all. Those old-school Type I’s are horrible. These are great. There are also several other smaller things we’ve added like a beefed up first aid kit, the Skipper’s Medical Emergency Handbook, a full complement of on-board tools including cable-cutter, etc. 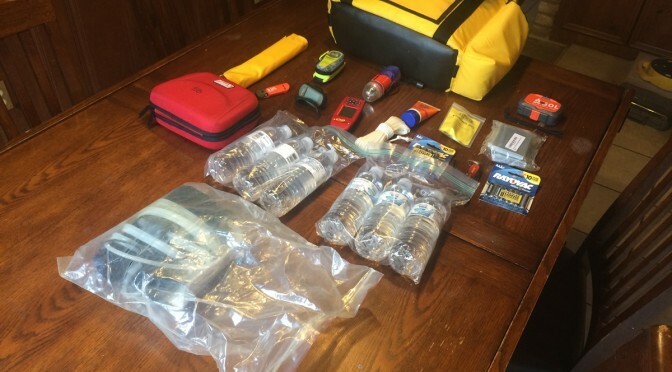 (all stuff from the ISAF/ORC regs) – so we think we have the major safety items covered for now. I’ll report back on this stuff if we end up using it. Hopefully, this will be the only post on these items! As always, if you see anything above about which you’d like more detailed info, just let me know with a comment below. I might write something up for you. 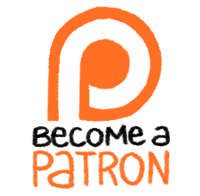 If you enjoy our BFS stories and videos and want to score exclusive BFSGear, hop on over to Patreon and get your freak on! The boys and I had a blast between Christmas and New Years. Those little dudes can shred!!! A Different Kind of BFS! Ever seen a VO70 up close? The Banstick Coup de Grace!